Are we ready to move past the trite and tired trope that “Minis aren’t really that mini” anymore? Because it’s 2018 and cars aren’t little anymore. 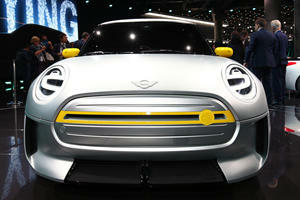 If you can get over the fact that the current Mini Cooper isn’t remotely similar to the diminutive, low cost, high fashion, equation that propelled the original to popularity for four decades, you’ll come to realize the modern iteration is packed with personality and happens to be a half decent piece of machinery. The original BMC-made car was utterly classless, yet it was seemingly crafted from pure charm. It was offered in a multitude of body shapes; it was packaged well, fun to drive, and cheap to own. In fact, the original Cooper’s cult following has spawned an entire cottage industry of Mini specialists to the point where you could build a classic example using only modern parts. 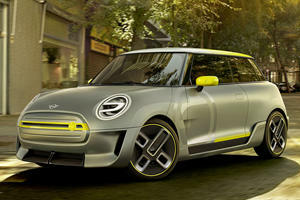 Regardless, ever since BMW decided to reinvigorate the Mini brand nearly twenty years ago, the iconic small car has grown to roughly the , with the Cooper spawning derivatives like a family friendly five-door, and a crossover roughly the same size as its corporate cousin, the BMW X1. As much as contrarian contemporary automotive commentary claims this is bad, it’s not–everyone knows only suicidal morons buy Smart Cars. Enter the 2019 Mini Cooper two-door hardtop. The base model is equipped with a colorful 1.5-liter three-cylinder engine hooked to a six-speed manual transmission and it's at least capable of still paying homage to its roots with a fun to drive personality. It would be cliche to call the Cooper’s dynamics kart like, but hey let’s do it anyways. What’s important is that initial tip-in is amazing and instant, you almost don’t feel a separation between both axles as you feed the front wheels towards the apex. The car’s dimensions will take a minute to get accustomed with if you’re used to something with more stretch between the wheels, I found it all too easy to prematurely jump into a turn, forgetting the shorter wheelbase allowed for more flexibility. The entry-level suspension is softer than you might expect but the chassis itself is both rigid and talkative. However, a consequence of a suspension that communicates with you on a deeper level is that it also chats about any and all road imperfections, from microcracks in the pavement to coarseness of the surface. The Cooper is king of the tightly confined metropolitan on-ramp where it’s happy to rotate on a dime, but longer curves at speed will sometimes require a second bite at the cherry in order to keep proper trajectory due to over-rotation. Another side effect of the shorter wheelbase and jaunty suspension is that bumps and ripples can jostle the Mini around compared to something with a longer wheelbase. Happen across a rural dirt road and the short wheelbase can be either a blessing or a curse depending on your outlook on life. The tight dimensions make the Cooper quick to yaw with gentle Scandinavian inputs, but its FR layout makes it extremely easy to control the slip by dragging the car forward by its front tires. However, a negative of the Cooper’s kart-style dynamics is the propensity to unweight the rear end under hard braking, with the back half of the car becoming extremely light and squirrely, feeling as if it could snap overtake the front if you’re not careful. The 1.5-liter three-cylinder turbocharged engine kicks out 134 hp and 162 lb-ft of torque, which is sufficient for the job at hand and at it’s best when you utterly forget it’s there. As part of its undersized nature, the engine and transmission are extremely susceptible to falling off the curve, the torque tap opens at 1,200 rpm and rides on a plateau until 4,500 rpm before trailing off towards redline, peak power comes on at 4,500 rpm and stays until six grand. Around town, if you let the revs fall fractionally below where the boost comes on, the little triple can start to feel like it’s going to lug itself right off the engine mounts, but stretch engine speed too far and it just makes a sickly sound and fury. Physically, the engine is quite literally just a BMW 3.0-liter inline six sawed in half, and it shows. The little three-pot sounds half as good, goes half as fast and uses half as much gas. But that doesn’t mean it’s unenjoyable–its syncopated singing at high rpm is much preferable to the gnawing weed whacking whine that emits from a four-cylinder of similar displacement. On the gearbox front, the clutch is well weighted and easy to modulate with a large bite point that’s easy to find. Shifter throws are languid yet crispy with a gate that’s easy to navigate, you’ll never find yourself getting lost in the middle of a crowded box. Like other modern manuals from the BMW Group, there’s hill-start assist and active rev matching, which are both a blessing when working with an engine that’s effectively torqueless before the turbo gets involved. The base powertrain is actually an exemplary way to get intimate with the minutiae of rowing gears yourself, with the little engine demanding many, many inputs in order to execute most mundane routines. For example, passing on two-lane blacktop requires a drop from 6th to 3rd and then an upshift to 4th mid-pass, lest you run out of breath. Inside the cabin, things are a bit spartan if not well styled. The entry-level model includes simple black leatherette upholstery and a horizon filled with black plastic, the instruments and infotainment screen are both big circles punctuating the dash, and the popular center console mounted toggle switches remain, including a throbbing red start button in the middle. The entry-level 6.5-inch infotainment system is beyond useless with no navigation, and functions buried within menus in some misguided attempt at polished minimalism. Plus, it’s all controlled by a rotary knob that’s awkwardly placed between the armrest and the shift lever which creates a user experience that’s maddening at best. The seats themselves are comfortable enough for short jaunts around town, but pull anything longer than a two-hour stint in the saddle and your back will be begging for a stretch and some semblance of lumbar support. Lastly, the Cooper is well and truly a two-seater, sure there are rear seats, but small children used to spacious Subarus will complain about the lack of breathing room back there. 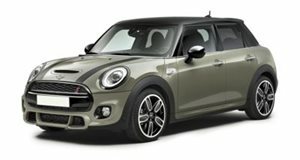 I think it’s clear to see that the 2019 Min iCooper isn’t really at all the same car for the masses as the original. At $25,850 as tested, with next to no options, the Cooper is nearly as expensive as a Golf GTI, yet offers nowhere near the same speedy proposition as the hot hatch, it’s also smaller and less value-oriented than other options that cost thousands less. But the Cooper is a cheeky little car that grabs you by the soul in ways that others just can’t, morphing into an extension of its owner's personality. Sure, no modern Mini is the most sensible, cost-efficient, or practical transportation choice, but when you see one out and about you’ll at least know the choice was made for an irrational reason, and we could all use a little more of that.